With a 17-year age gap between them, Meghan Markle and her estranged half-sister have never been what one would consider close. Daughters of different mothers and the same father, the siblings weren't raised in the same house and reportedly have not seen one another for more than a decade. However, when the world became obsessed with Markle's unlikely royal romance with Britain's most eligible bachelor, the actress' absentee relative wanted the world to see her too — and that it did. 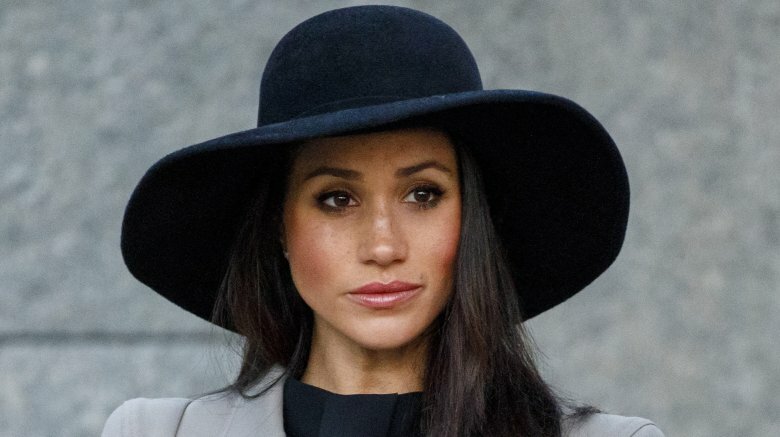 Meghan Markle began her romance with Prince Harry during the summer of 2016, but while the lovebirds were camping in Botswana, Meghan's father, Thomas Markle, was filing for bankruptcy, leaving Samantha seething with anger over her half-sister's alleged lack of emotional and financial support for their dad, an Emmy-winning lighting director. 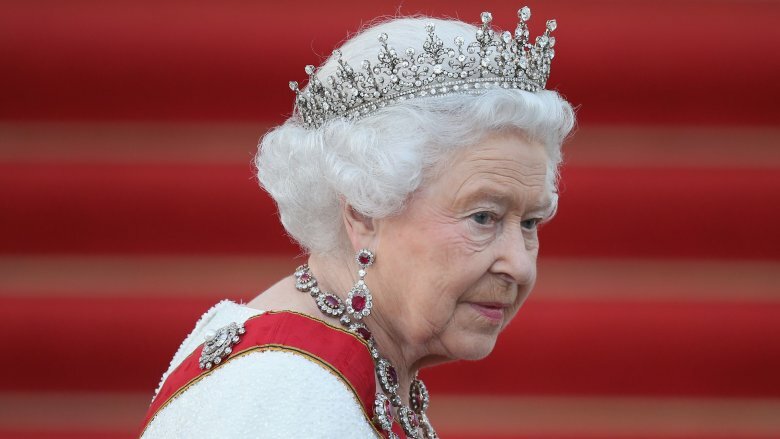 "The royal family would be appalled by what she's done to her own family," Samantha told Radar. "The truth would kill her relationship with Prince Harry; he wouldn't want to date her anymore because it puts her in a bad public light. I certainly don't think Harry or his family would want to associate with her afterwards." 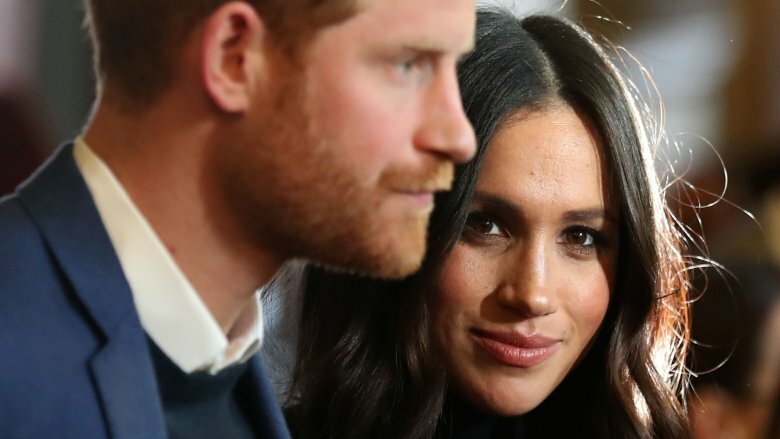 Radar goes on to say Meghan was "glued to her phone" and "barely sleeping" over her sister's very public slams, but either Prince Harry doesn't read Radar, or he reads Radar and doesn't care, because he proposed to Meghan in November 2017 and married her in May 2018 as hundreds of millions watched around the world. The very next day, Samantha hit back. "She has a large family. She always did. Our dad is amazing and completely self sacrificing," she said in a since-deleted tweet. "We made it so that she had two houses. How fun it was!" Somehow unable to grasp the irony of her moral outrage about family, on Christmas Day 2017, Samantha took to Twitter to promote her book, which she planned to title The Diary of Princess Pushy's Sister. "Excited for my book coming out and wait until you see what our home life was like!" she said in a since-deleted tweet. The 600 guests invited to witness Prince Harry and Meghan Markle's vows in St. George's Chapel included the likes of Oprah Winfrey, George and Amal Clooney, and of course, Meghan's co-stars from Suits. Not on the list? 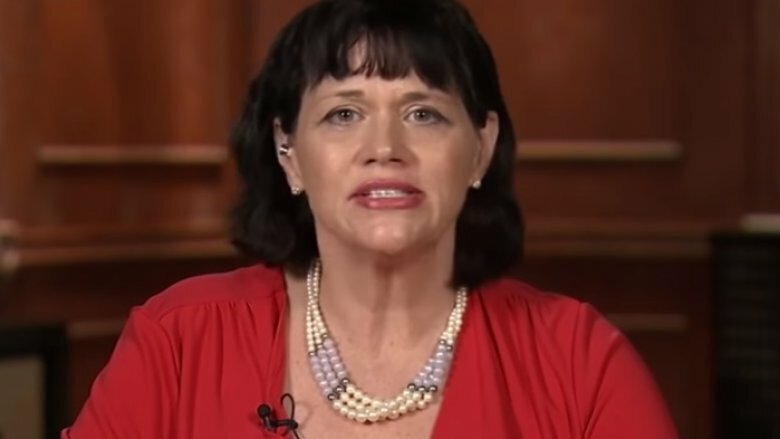 Samantha Markle. Also not on the list of 2,000 others "awaiting them on the grounds" of the castle? Samantha Markle. Needless to say, Sam was not pleased. In a since-deleted tweet storm, Samantha lashed out. "Out of respect and humanitarianism, the Markles should be invited if 2,000 complete strangers are. Our uncle, brother, me, best friend of 30 years, nephews. Our issue is not a matter of closeness. Family is family." She added, "The Markle family is looking forward to our wedding invite. No one has one yet. Still waiting." Since her invite obviously got lost in the mail, Samantha hosted a royal wedding viewing party at her home instead. According to TMZ, she planned to hire off-duty cops as security "so creepers don't roll up onto her crib and disrupt the festivities," Never change, Samantha. A fake car accident story? Three days before her half-sister's royal wedding, Samantha was supposedly in a car accident that left her with a broken ankle and a fractured knee. According to TMZ, her boyfriend, Mark Phillips, claimed his vehicle hit a concrete barrier near a Florida toll booth because of a "paparazzi confrontation." Scary stuff. Except, it may not have happened that way. A Florida Highway Patrol spokesperson told the Daily Mail that no accident reports involving Samantha and Mark exist. "So we don't know if this actually happened." How could this story possibly get any worse? "Even if they hit a stationary property such as a wall under Florida law you are required to report that to law enforcement," the police spokesperson said. Since no report was filed, Mark could face second degree-misdemeanor property damage charges "punishable up to 60 days in prison and a $500 fine." 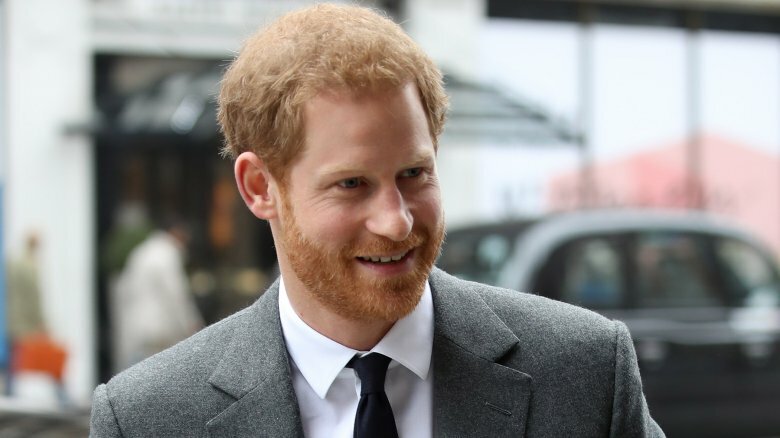 If this incident involving a car crash and paparazzi is a tall tale, it's a particularly disgusting one considering Prince Harry's mother, Princess Diana, died in a car crash that was blamed on paparazzi. The Diary of Princess Pushy's Sister. That sure seems flattering. Wait, you don't think it's flattering? Samantha has no earthly idea why you'd think that. "The title is a mockery of the media,' she told the Daily Mail. "It wasn't me who called Meg 'pushy', it was the tabloid newspapers. She is not pushy." To further clarify her desire to pen the memoir, Samantha appeared on Good Morning Britain to explain that her memoir will touch on "the inter-racial evolution of this country through the lens of my life and my family since the Civil Rights Act until present, and how that intersects with this recent event with my sister, you know, my feelings about it, my family's feelings about it and how sad it was going through it all." Sounds deep. You might be shocked to learn this, but Samantha is also estranged from her brother (Meghan's half-brother), Thomas Markle Jr. He told the Daily Mail that Samantha is "trying to cash in" and "wasn't there much when Meg was growing up." This book should be great, because who better to write about interracial relations and the Civil Rights Act than an author who was never really around her half-black sister? By the way, Samantha later changed the title of her tome to A Tale of Two Sisters. Her agent, Linda Langton, reportedly suggested the new title because the original "did not reflect Samantha's loving feelings for her sister." One could undoubtedly make the case that if Meghan found a genie lamp, her first wish would be for Samantha to stop talking to every media outlet in the known galaxy. It would also be her second wish. Possibly the third. But Samantha can't stop, won't stop, because this is America! "If it's about my life or my father's, there's something known in this country as freedom of speech. She doesn't have a copyright on that, and she's not gonna tell me that I can't speak about my own life or my father's when it's a matter of public self-defense. The media is disparaging us," Samantha told TMZ three days before the wedding. "I'm not gonna take it … This is not Great Britain. I am a United States citizen, and that's all there is to it…"
As you might expect, knowledge of speech laws and having self-awareness aren't mutually exclusive. Samantha went on: "Meghan and I do not have a relationship now. The last year I think has been strained because what tabloids have said…" Ah, yes. The tabloids. That's the problem. Thomas Markle was reportedly all set to walk his youngest daughter down the aisle until the Daily Mail published footage of the 73-year old posing for staging paparazzi photos. Meghan was reportedly "hurt and disturbed" by the stunt, and a day later, Kensington Palace released a statement asking for respect and understanding during this "difficult situation." Meghan's dad then stated he would not be attending the wedding after suffering a heart attack. We're providing that context, because during an appearance on British talk show Loose Women, Samantha straight up admitted the paparazzi photos were her idea. "I have to say I am entirely the culprit," she proudly proclaimed. "As we know the media can take very unflattering photographs of people on their casual days and blow it way out of proportion. I said, you know, the world has no idea you're getting in shape, doing healthy things. They don't photograph you buying vegetables and PH water…"
On the talk show, Samantha also said she was not invited to Meghan's first wedding, and yet, she's still somehow confused that she wasn't invited to the second one. 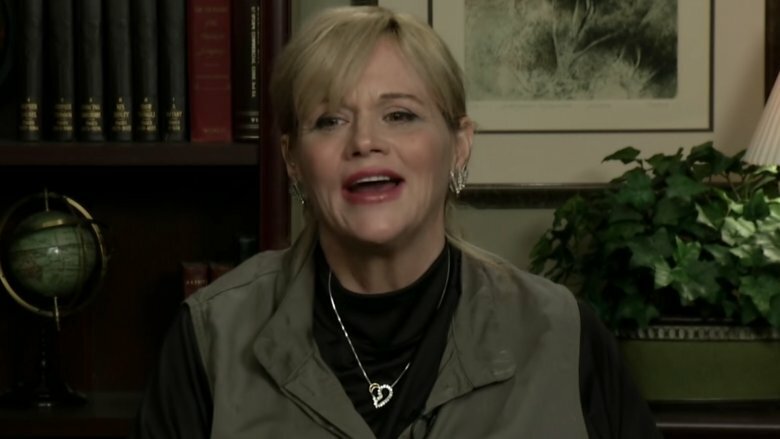 During an appearance on Good Morning Britain, Samantha Markle said her father was victimized by "media vultures," — even though recruiting the vultures was her idea. 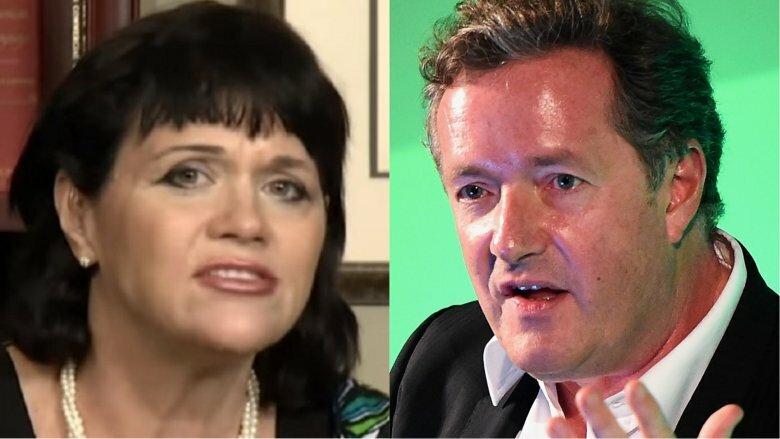 Journalist Piers Morgan challenged Samantha's claims. "There's no bigger media vulture than you, is there, Ms. Markle?" he said. "You say this is all the media's fault, because the media has been treating him in a shabby way, many of our viewers may have watched your activities and think you have treated your sister Meghan in a very shabby way." 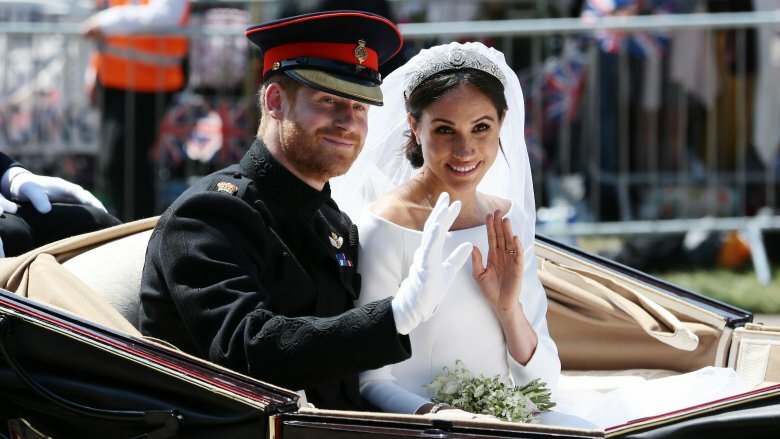 She attempted to deny that, but Morgan kept going: "You've spent the last two years criticizing her, you called her a narcissist, selfish, that Hollywood changed her and that Prince Harry shouldn't marry her, yet you have the gall to blame media vultures." Perhaps the most inappropriate line of the heated exchange: During her tirade against the press, Samantha claimed her father called her "panicking on the freeway" because of the presence of paparazzi, noting that there are "examples in history of how dangerous that can be." Yes. That appears to be another reference to Princess Diana's death in 1997. Well, this was super fun and not depressing at all, right? We know you don't want to stop reading this inspiring story of sisterly bonds just yet, so we'll leave you with a few of Samantha Grant's greatest hits about the Duke and Duchess of Sussex. "The tabloids wanted to create this ghetto princess story, if you will, which is so far from reality, you know, the African-American, rags-to-riches Cinderella," she told TLC. 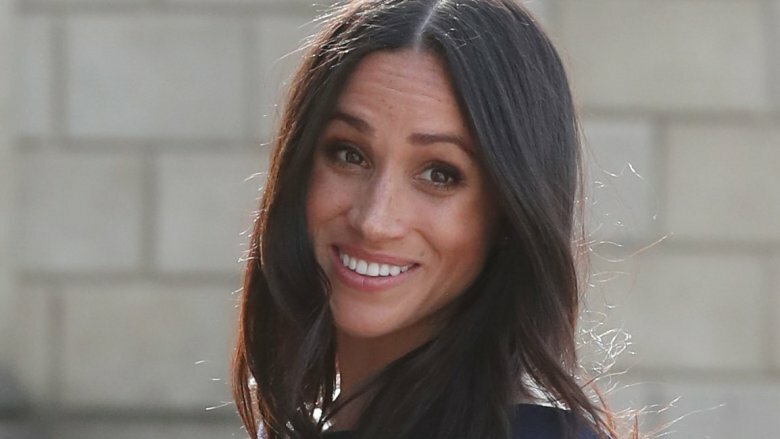 Referring to Meghan as a "social climber" with a "soft spot for gingers," Samantha told The Sun, "Her behavior is certainly not befitting of a royal family member." Samantha also wasn't a fan of the expensive gown Meghan wore in her engagement photos, telling Australia's A Current Affair. "If you can afford $75,000 for a dress, you can afford $75,000 to help your dad." Man, it's hard to believe these two don't get together and braid each other's hair on the weekends, but hey, like all good fairy tales, someone's got to be the evil half-sister, right?